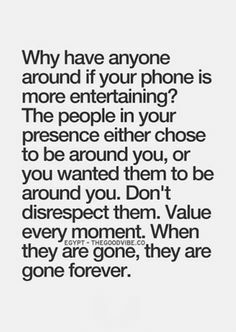 Keep in mind that no one appreciates that person that answers the cell phone in public and their voice seems to continue to get louder. This allows all to hear and understand your conversation if you don't like your privacy the rest of us do. 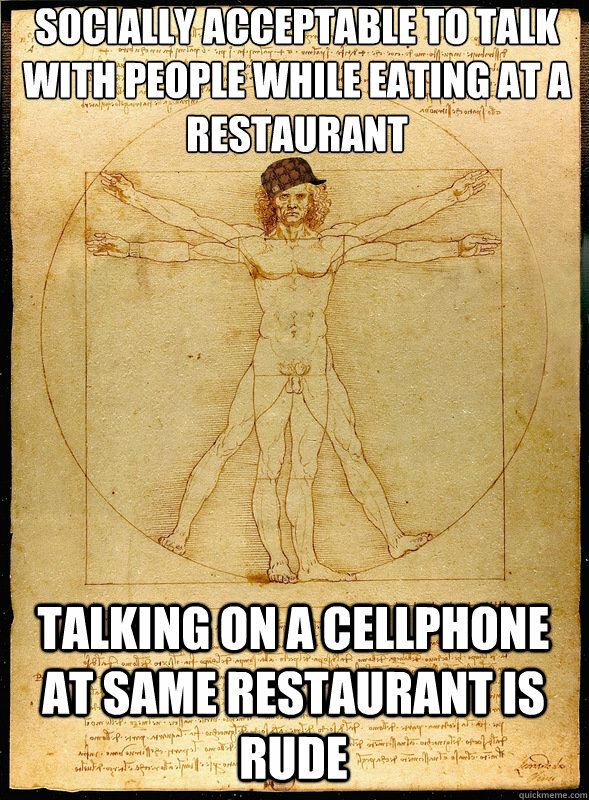 So you are out to a family event or dinner with someone special and your cell phone rings. It not only interrupts the events and others that are enjoying it but also doesn't allow you to enjoy yourself. 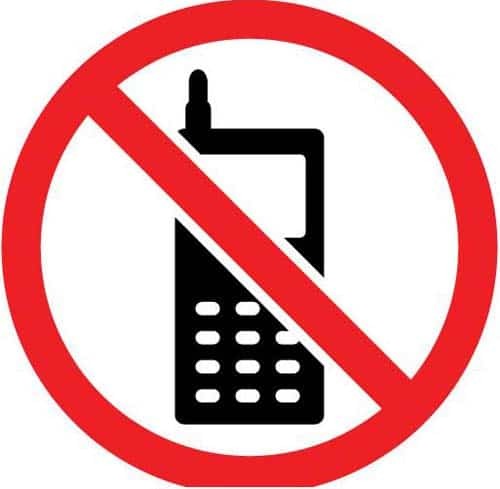 Keep the cell phone with you if needed but try not to use it and have personal conversations with others when the special event is going on. One of my pet peeves is having a personal conversation and have that person to back out of the conversation to answer their phone. I believe it is rude to do so unless it was an emergency. I recently went to a court room as moral support of a friend. The bailiff warned to have cell phones turned off. Everyone took note except for one woman. You guessed it yes it went off right in the middle of the hearing the judge got upset and the balif gave the individual a stern warning. It could have been much worst. This is an example of a place where cell phones should be turned down or off. There are many more. Yet another story of a cell phone disaster. My daughter, the individual I went to court with, received a ticket for using her cell phone and driving. It is not safe to do so and now that you know there are laws you should take note and quit using the phone when driving. It's yet another sweet day in the food world. Today July 9th is the day to enjoy sugar cookies. 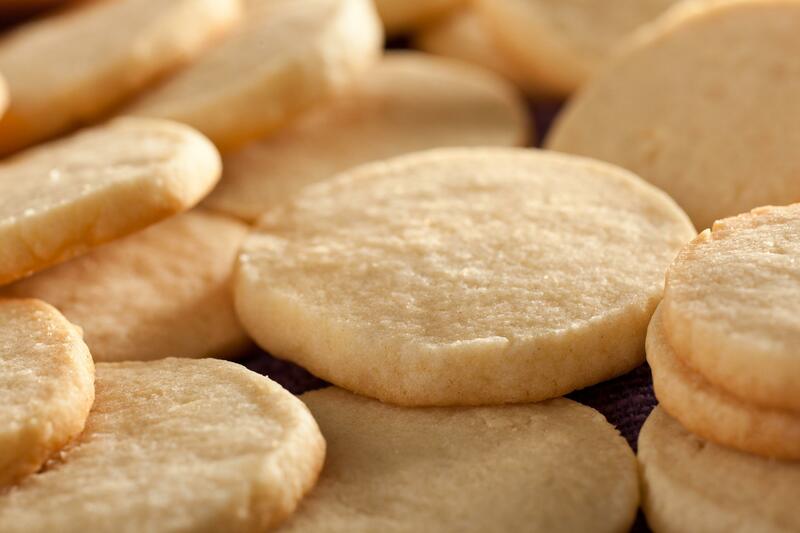 National Sugar cookie day is popular with both the young and old. In fact there are not many that would not enjoy a delicious sugar cookie. There are even sugar cookie addicts. Sugar cookies are easy to make. You can purchase all ready created and bake and serve sugar cookies or go the long route and make ice box sugar cookies. Get in there and make it a whole family event. Baking is rather fun in our house. It all taste better when you were the one helping to make the food. If you must chill the dough just leave it on the counter top for 10 minutes before rolling or work the dough with your hands for a few minutes. You can omit the almond extract if you do not have it available, however the taste is really fantastic with the hint of almond. African Daisies are annuals. They grow well in dry, arid areas where other flowering plants may struggle to grow. These attractive flowering plants grow and bloom all summer long. Colors include white, orange, yellow and apricot. They can also appear in mixed colors. In mid-summer the plant will continuously display attractive flowerbeds. 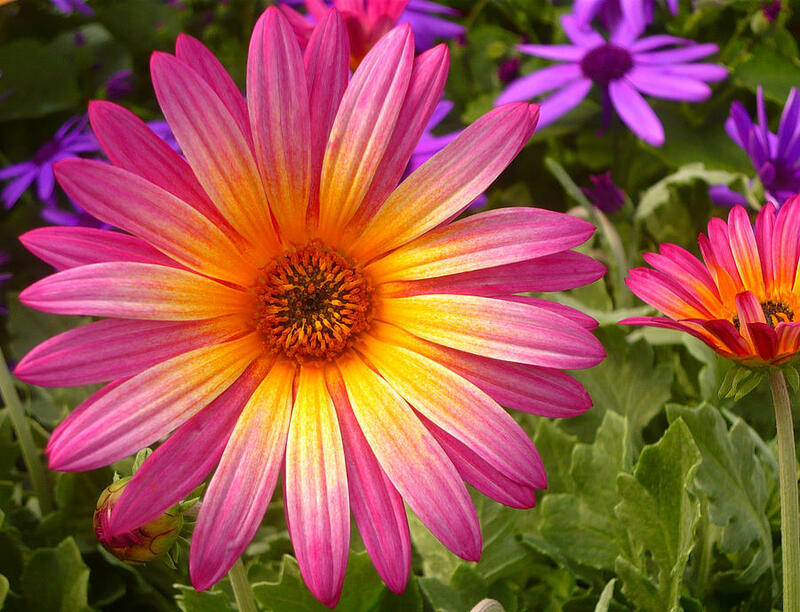 African daisies grow from seed. They are fast growing plants that grow best with seeds planted directly into garden. Seeds should be sown in early to mid spring after frost has gone. Seeds from the flower heads should fall to the ground and reseed your flower bed. Plant African Daisies in full sun. They do well in average soils and are drought tolerant. Plants should be placed about 10 inches apart but can be crowded slightly. During prolonged droughts the plants should be watered. But they often require little additional water. 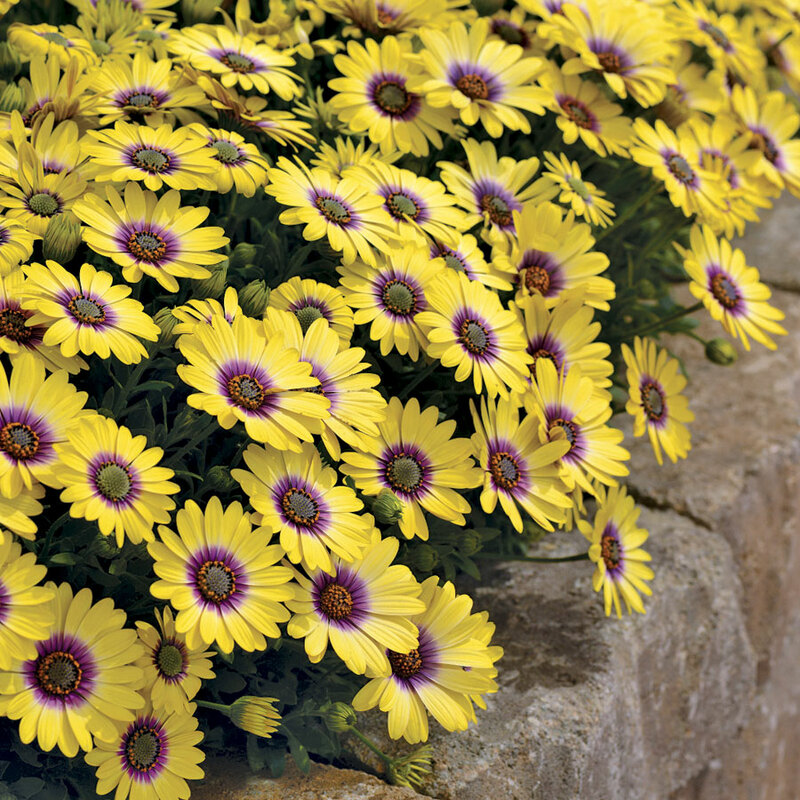 African Daisies will grow quickly and once established will bloom in about 2 months. Blooms should be present up til the first frost in the fall. 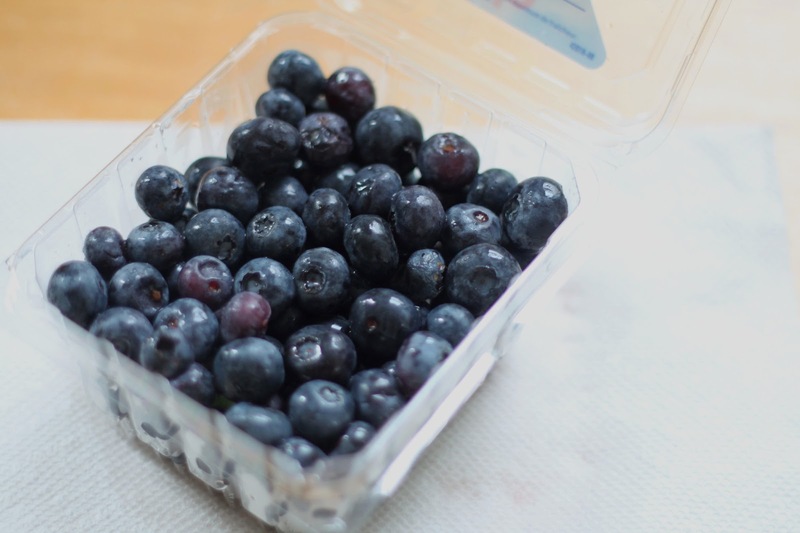 Blueberries are loaded with fiber and rich in antioxidants. They are one of the healthiest fruits. One of the most notable health benefit is that blueberries help lower cholesterol and promote hearth health. They have shown the ability to reduce the risk of cancer and help slow the aging process. Heat oven to 400 degrees. Rub pork with chicken seasoning and 1/4 tsp each salt and pepper and place in a roasting pan. Roast 25 min. or until temperature registers 155 degrees. When 10 min. of cooking time remain, remove pan and spread green beans around pork, drizzle with 1/2 tbs oil. Stir beans and return pan to oven. *Heat remaining oil in a saucepan. Cook onion 3 min. Add blueberries, vinegar, sugar, thyme and remaining salt and pepper to saucepan, cook 5 min. or until thickened. Serve pork with sauce. In a large bowl, mix cherries with 2 tablespoons lemonjuice. In a smaller bowl, mix blueberries with remaining 1 tablespoon lemon juice. Combine sugar and cornstarch; gently stir 1 cup of the mixture into cherries and 1/4 cup into blueberries. Spoon cherry mixture over 3/4 of the pastry in pan, leaving 1 quadrant free. Spoon blueberry mixture into unfilled area. Scatter butter evenly over fruit. Top filling with stars and stripes as directed for flag pastry. Set pie in a foil-lined 13- by 17-inch baking pan. Bake on the bottom rack of a 400° regular or convection oven until fruit is bubbling in the center and pastry is well browned, about 1 hour. If pastry edges brown too quickly (check after 40 minutes), cover loosely with foil. Let pie cool on a rack at least 3 hours; let stand at room temperature up to 8 hours. Cut into wedges and serve with ice cream, if desired. National Strawberry Sundae Day sounds like a sweet day to me. Celebrated each year on July 7, your opportunity to enjoy a sweet delicious dessert. Strawberries are favorites of many and no better way to enjoy them than on a strawberry sundae. Slice 1 heaping quart of the strawberries for the filling and halve 2 heaping cups of your best looking ones for the pie top. Halve another 2 cups of strawberries, place in a food processor and puree until smooth. Measure out 1 1/4 cups of the puree and transfer into a medium saucepan along with sugar, pectin and salt. Bring to a simmer over medium heat, whisking frequently. Continue to simmer so that mixture foams, about 1 minute longer. Remove from heat; skim foam from the surface. Return saucepan to medium heat, slowly whisking in cornstarch mixture. Continue to whisk until mixture is stiff. Stir in lemon zest and vanilla. Transfer 1/4 cup of the mixture to a small bowl. Whisk in up to 2 tablespoons of water for the glaze. Transfer remaining mixture to a medium bowl, placing a sheet of plastic wrap directly on the surface. 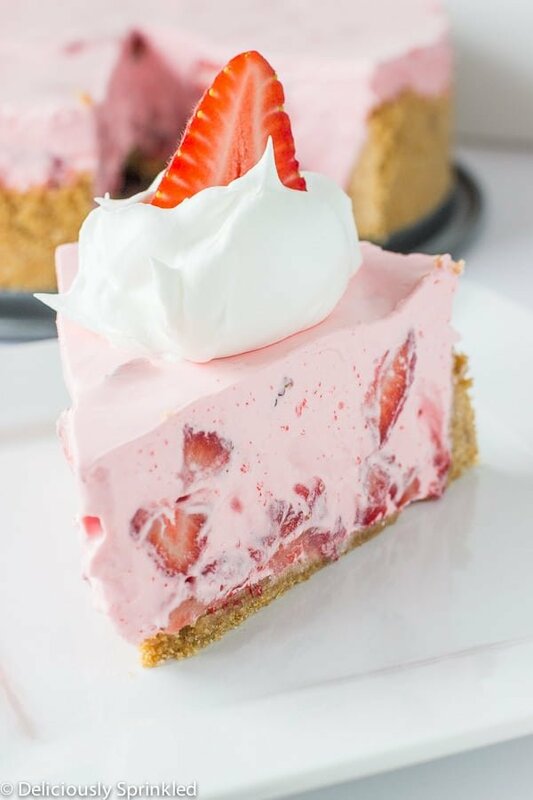 When mixture has cooled to room temperature, stir in sliced strawberries and turn into baked pie shell. Arrange halved strawberries over to; brush with glaze and refrigerate until ready. The pie can be made several hours ahead. Serves 6 people. 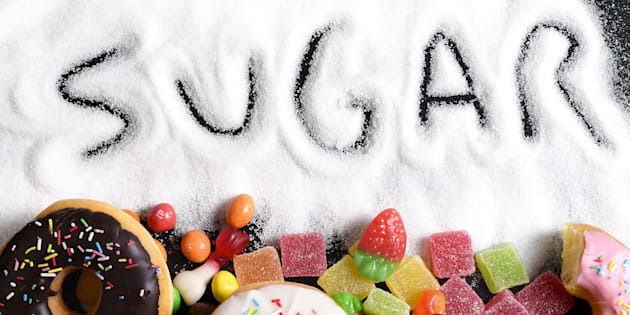 July 7th of the year 1550 one of the sweetest treats was introduced. For all you chocolate lovers you should be thankful that the day arrived. 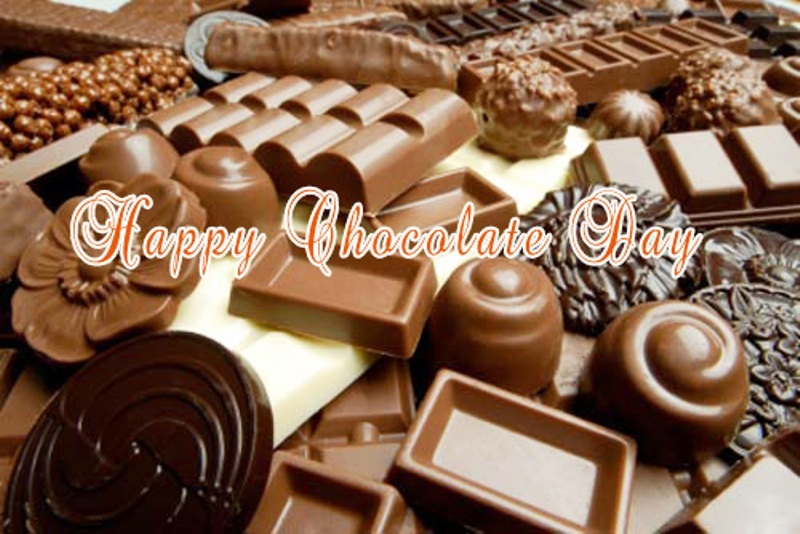 You will also get to celebrate the love of chocolate on September 13th when it is International Chocolate Day. Did you know that Chocolate is a vegetable?? Well it is and that is what you can tell those that urge you to eat veggies rather than chocolate. Chocolate comes from the cacao tree. The seeds of the tree are used to make Chocolate. I know what you are thinking but let me give you the bad news first. 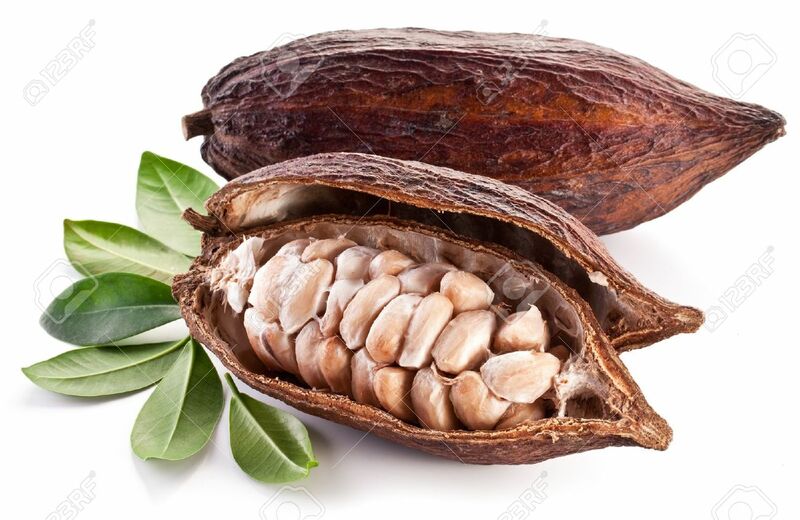 Most of us will not be able to grow our own chocolate trees as the Cacao trees only grow in tropical regions like central America, the Caribbean, Indonesia and Africa. It is labor intensive to get the Cacao seeds to produce chocolate. First trees require hand harvesting and machetes, as the pods can reach a size comparable to butternut squash and holds between 30 to 50 bens. The Cacao tree grow in the wild with shade and can grow for nearly 100 years. The beans about the size of almonds are allowed to ferment for 3 to 7 days. Then the beans dry. The dry fermented beans will be very bitter. The beans are sorted, cleaned and weighted before roasting. The roasted beans enter a machine that cracks the seed coats and blow them away leaving beind only the nibs. 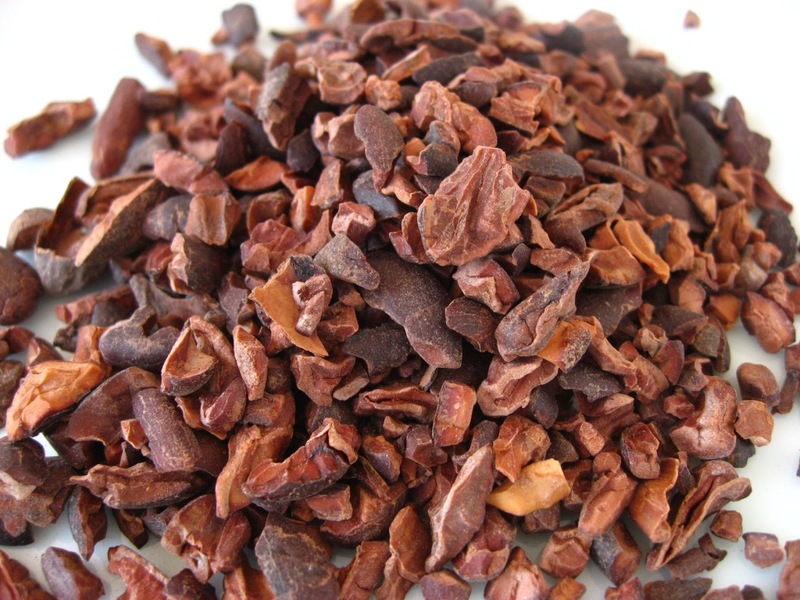 The nibs are made up of 47% cocoa solids and 53% cocoa butter. Cocoa butter makes up the fat in chocolate. The cocoa solids are ground into cocoa powder. Cocao nibs can be made into "nut butter" called chocolate liquor. The chocolate liquor on its own is dry and gritty. Combined with sugar, vanilla and other ingredients becomes tastier. The Mayans discovered the wild cacao tree. The tree lived in the forests of south America. The years between 250 - 900 A.D. the Mayans would cultivate the seeds of the tree and mad a chocolate beverage. To make the beverage they would use ground beans, water, chile, vanilla, black pepper and cornmeal. The drink was sweetened with honey. The Mayans would use the drink as part of a tradition and ritual. Cacao beans were also used as a form of currency. The 1800s would see a change in chocolate. As a cocoa press would be invented in 1828. The cocoa press seperated chocolate into cocoa butter and solids (powder). The names "Nestle" and "Hershey" would become popular when milk chocolate and chocolate bars would be created and shared around the world. So as you enjoy that chocolate malt, candy bar, or other treat take a moment and recall why we are so lucky to have such a sweet treat. July has been welcomed in with a few parties and lots of fun. Family, picnics, fireworks and lots of fun was nvolved in all the great fun. 2. Right now...what's your favorite red thing? white thing? blue thing? 3. Wave the white flag, raise a red flag, fly your freak flag...which 'flag' have you flown most recently? Explain. If time and money weren't factors would you want to see any/all of these? Which would you most like to see and why? 5. Grilled cheese, pimento cheese, or mac and cheese...your favorite from the cheesy treats listed? 7. Your favorite movie with a 'patriotic' theme of some sort? In a large bowl, add boiling water and gelatin powder. Stir gelatin powder until completely dissolved.Then, add ½ cup cold water and ½ cup ice cubes, stir until gelatin is slightly thickened. TIP: Let the gelatin mixture sit for a few minutes to thicken slightly before you add the cool whip otherwise it won’t set up. Pre-heat oven to 375° (190° celsius). Line 2 cookie sheets with parchment paper. In a large bowl whisk together flour, sugar, baking powder and salt. Cut in butter with a pastry blender, add milk and egg. Mix quickly together, move to a lightly floured flat surface, and knead lightly until dough comes together (dough might be too sticky, if so add a little more flour until it is just manageable, it must remain soft and a little sticky). Wrap in plastic and refrigerate while you make the apple pie filling. In a small pot add small diced apples, cinnamon, brown sugar, corn starch and water, stir to combine, heat on low heat until thickened, approximately 15 minutes. Remove from heat and let cool. Remove dough from fridge and roll flat, about pie crust thickness or even a little thicker if you want (be sure to lightly flour flat surface, top of dough and rollingpin) Cut with a large round cookie cutter, brush with melted butter (melt 1 tablespoon butter), place approximately 1 teaspoon of apple pie filling on one side of circle, fold over and seal edges with a fork dipped in flour. Place on prepared cookie sheets, brush turnovers lightly with milk and bake approximately 15 minutes or until golden. Let cool slightly, eat plain or dust with powdered sugar or drizzle with vanilla glaze. Enjoy! In the medical field the work can be very demandive, long hours, and little rest. There are those that are determined for one reason or another to work hard and make sure all works well. I was once like that but as I have gotten older I have slowed down some. Today, July 5th, Work a Holic day is dedicated at least on Annies Home to those that work hard and keep it all running well. The Work-a-holic works hard while others may enjoy a time down. They can not relax until it is all done. He is addicted to work and it is not a need of work. Its because there is work to be done or work that has been neglected by others or perhaps there is work that will need to be done in the future. If you have ever heard the above statement than you most likely may be a work-a-holic. Other ways you may be able to tell. Do you know a work a = holic are you one??? 2 cups tomatoes, cut up. Pre-heat oven to 350 degrees Wash eggplant and cut into 1/2" to 3/4" slices. Dip eggplant into egg. Put into cracker crumbs, turning to cover. Heat oil in a large skillet. Saute eggplant until golden brown on both sides. Place eggplant into a casserole dish. Saute onions, green pepper and garlic in butter for 5 minutes. Add seasonings and tomatoes, and heat to a simmer. Pour over eggplant. Bake in oven for 20 minutes. Top with grated cheese, and bake another 10-15 minutes to melt cheese. I am from small town america. My mother drove a school bus, my father delivered the mail. My grandparents as well as many other members of my family were farmers. The pride for America we had in our family was something that everyone could see. Every July the month started out with a parade, carnival, and fireworks. It was in celebration of Independence day. All of our young ment that went away to war and came back home were honored with a home coming. The ones that did not come home are perhaps the ones that left the most impact on our hearts. One young man my mom went to school with Bob Tunison unfortently did not return from war. His mother was left devestated and the the little town mourned. In honoree of Mr. Tunison a park was erected and his story continues to be told. 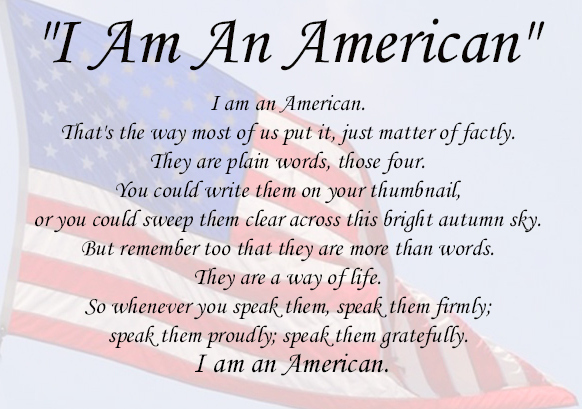 I am proud to be from that little town and I am proud to be an American. Fishing is a favorite sport and past times of many. The gal in the picture is a great friend of mine who loves to fish.. To her it is a past time that she loves to take part time in. Have you ever cast a line?? Well if you have then you know how exciting it can be. If not then it may be something you want to check further into. You can check out one of the fascinating fishing books located at your local library. The books should offer you a bit of excitment but the best way to learn is to get directly involved. Start by baiting your hook and casting your line. So now that you are prepared to fish you have to decide what type of fish you will be looking for. There are many types of bait. Most individuals in this area will be looking for catfish. Catfish are attracted to specially made bait, raw chickent liver or insects. It may surprise you but location and weather may make the difference between an ok fishing trip and an awesome one. Many will gaurd their location from even their closest friends. A great fishing spot is worth its weight in gold to a fisherman. An overcast sky can lead to successful fishing trips. Fishing trips in other weather can be great as well but the overcast sky seems to be most succesful. You should be ready now for your first fishing trip . Good luck and above all have fun.